AWAY: Journey to the Unexpected is a cartoonish action-adventure game. It was developed by Aurelien Regard, creators of The Next People, and Jim Genisson, level designer of a couple of Rayman games. 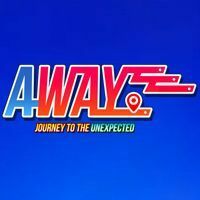 AWAY: Journey to the Unexpected for SWITCH, PC and etc. is a cartoonish action-adventure game. It was developed by Aurelien Regard, creator of The Next People, and Jim Genisson, level designer of a couple of Rayman games. The game in topic was published by Playdius Entertainment. AWAY: Journey to the Unexpected is inspired by the Japanese children cartoons, both in terms of visuals and atmosphere. The game takes us to a world where modern technology and fantastic beings collide. We play as a brave young boy who goes on various dangerous adventures during which he, along with his friends, fights with enemies. Action in AWAY: Journey to the Unexpected for SWITCH, PC and etc. is presented from a first-person perspective. As we play, we explore the game’s world, beat the game’s platform elements, collect items, and fight with enemies. The game, however, has some interesting mechanics in it that are not present in other similar titles. We can recruit every character we meet, including enemies. It requires convincing them, so we will have to be really thoughtful and creative when talking with them. AWAY: Journey to the Unexpected for SWITCH, PC and etc. has quite unusual but still good-looking visuals. The game’s colourful world is in 3D, but all characters are 2D sprites.